Also spotted were Maria Heslop (2nd claim TAC) who won the ladies event, Sally Musson, Lucy Pitcairn-Knowles, Duncan Ralph, Ollie Kingston and Chris Everett. Here are (some of) the top performers, (those I can remember). U.11 girls: 1 Breed, 2 & 3 Slacks, and various others. U.11 boys: 1 Albert Kreuzburg , and a few others. U.13 girls: 1 Maddie Wise, 2 Ella de Munck, 3 Alex Evans, and others. U.13 boys: 1 Fin Croll, 2 Ollie Hill, 4 Elliot Webb, 5 Finley Webster, 8 Freddie Nicholson and many others. Luca Russo finished 44th in another high class US cross country event on Saturday, running 24.52 for the 8km event. We have plenty of video footage for editing and the final versions will be available as soon as possible. Holly Gordon won the Brighton Aquathon for her age group. Ben Cole ran 31.27 to finish 12th in the Swansea Bay 10k road race. Luca Russo, running for Missouri University placed 45th in his first race of the cross country season, at the Vanderbilt Commodore Classic, at Nashville. The final event of the Summer Grand Prix took place at Tonbridge on 17th September. Here is Mark Pitcairn-Knowles summary. The full results are on the parkrun page. Sophie Slack had a 16 point advantage over Andrew Mercer (lowest score 14 to discard) and as it turned out the winning score, with a PB, was 31 points, this would have given Andrew victory by 1 point, if neither Sophie or Lily had run! Unfortunately for Andrew (3rd overall) he is injured and it was Sophie who scored the 31 points to extend her score to 107, with her 4th scoring PB run and take the Park Run GP title following on from her winter success. Lily Slack has been close behind her sister throughout and in fact it was only her relatively less good first race when she did not run a PB that resulted in her being 8 points adrift, such was the standard set by Sophie. There were a number of PB’s, but I think Anne Brenchley’s (W70) has to be mentioned as we all know it is harder to run a PB as you get older. The summer GP series saw 77 TAC runners register a score. Any ideas on changes to the scoring system for the Winter Series etc please contact Mark Pitcairn-Knowles. George Duggan equalled the fastest ever parkrun by a TAC athlete, at Maidstone, where he ran 15.03. This was the same time as Chris Olley set at Fulham Palace in December. Both Harry Brown and Luke Reeves ran to finish 4th and 5th in 17.58 and 18.16. For Harry this was his first time under 18 minutes. ​Jamie Goodge was first home at the Tunbridge Wells parkrun in 16.54, ahead of Dan Bradley. Katie Goodge also took a fair bit from her pb with 20.17 and was first female home. At Lullingstone James Puxty was 1st home in 18.12, whilst his sister Steph was first female with 22.57. Stephs time beat the fastest TAC female time on this tough course. Max Nicholls was 6th in the Mamores Vertical Kilometre Mountain race on Friday evening in 45.06. 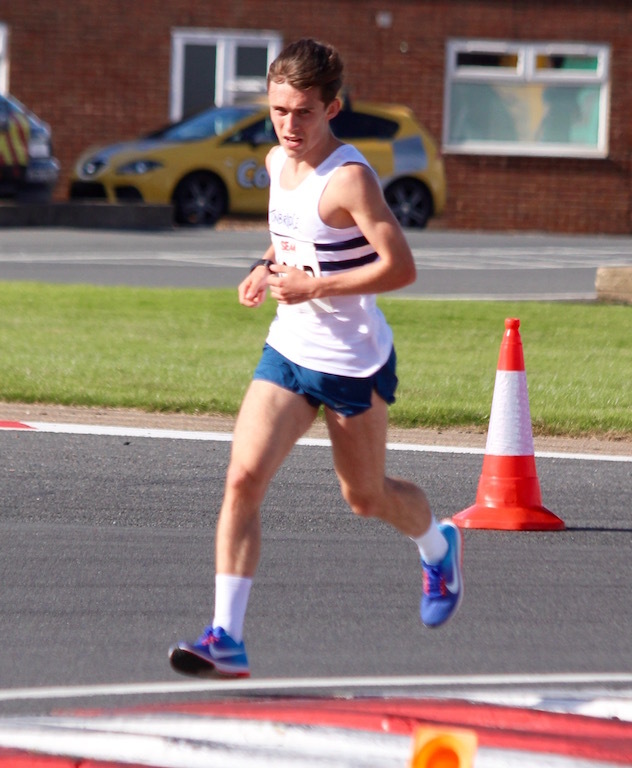 Harry Paton finished 4th in the National Police 10 mile road championships in 59.04, in sweltering conditions. Simon Fraser won the M40 1500m in 4.32.28 and 400m in 57.36. ​Full results are on the Results 2016 page. 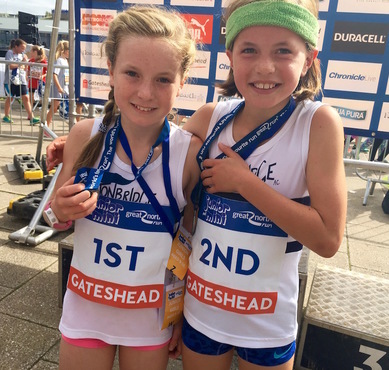 Sophie and Lily Slack finished 1st and 2nd in the Great North Run Junior race, running 15.44 and 15.48, in the 'orange' race (I imagine its was for under 11s). See photo below. In total we had about 80 runners taking part across the races and despite the wet weather at times, the team spirit and all round effort was superb. Those making their TAC debuts were particularly good, as it can be a daunting time for juniors in that situation. I hope that you all enjoyed being part of the TAC squad and thanks for giving it a go. The senior relay provided both a good battle in the men's and women's categories. The Tonbridge senior mens A team were matched up against their under 20 counterparts and a race long tussle ensued. James Puxty, as an under 17, was brought into the senior team on leg 1 and came hope in 2nd after Blackheath. Jamie Goodge was not far down for the TAC under 20s. Meanwhile Nicole Taylor stormed around the first leg and no doubt ran the fastest ladies lap. On leg 2 Corey De'Ath hit the front for the seniors and George Duggan moved the u20s into second, before Kieran Reilly and Ally Kinloch (u20) went on leg 3. Ally closed Kieran down, but it was good to see the latter back racing, after a very difficult year. It was nip and tuck at the last changeover, as Julian Rendall and Stuart Brown set off. Stuart had one of his good days and finished strongly to give the u20s a win by only around ten seconds. The win meant that TAC retain the trophy won the last seven years now. Meanwhile Lucy Thompson, Kiri Marsh and Maria Heslop helped TAC to second behind Blackheath in the women's contest. Corey De'Ath ran the fastest lap of the race in 12.39 with George Duggan at 12.40. Nicole Taylor ran the fastest ladies lap with 14.37. The earlier Junior race for u13s and u15s also provided good competition and the TAC u15 boys and girls both won, with I believe the u13 boys also being first. Robbie Farnham-Rose finished 6th, over 5k, at the Powerade Chatanooga Cross Country Invitational, in Tennessee, USA. The final results are in and are posted on the Fantasy League page. The winning team was managed by Una Laqeretabua and the best value for money athlete was Discus thrower Catie Kohler. 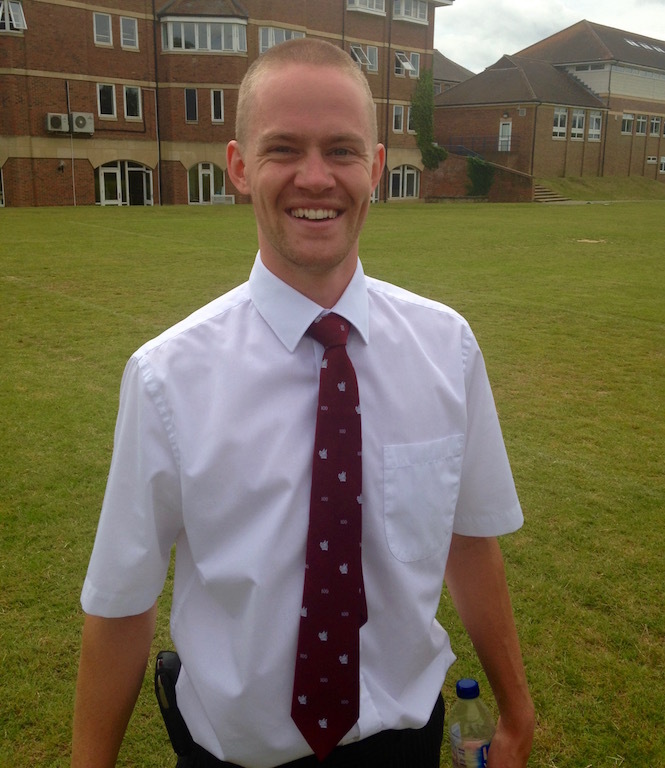 ​Look out for details of the Fantasy Cross Country League coming soon from James Taylor and the team. TAC won the mens team race at this ten mile trail race, near Tunbridge Wells, as Julian Rendall won, with Andrew Mercer 2nd and Dan Watts 4th. There were a few TAC runners in the Weald 10k road race. 4th James Stoney 37.55, 13th James Pigot 40.36, 16th Mark Pitcairn-Knowles 40.57, 65th Lucy Pitcairn-Knowles 46.40. 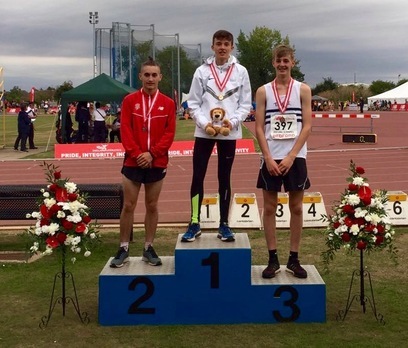 Luke Reeves (u17) ran a debut 800m at the Medway and Maidstone open meeting, in 2.18.51 and was the only TAC distance runner in action. The Tonbridge parkrun had a record number of finishers this week with 517, which was the first time that more than five hundred had completed the event. Julian Rendall was first home. There was some good entertainment, some excellent performances and plenty of helpers at the open meeting, which went off well in glorious conditions. The standout distance running performance for me came over 800 metres, where Ben Murphy was paced to an excellent personal best of 1.53.68, by Sean Molloy (1.53.40). Jack Keywood missed running under 2 minutes for the first time by just a fraction of a second with 2.00.24. The day ended with what for many was the highlight, as 10 teams of two generation, family teams, contested the 2 x 400m relay. 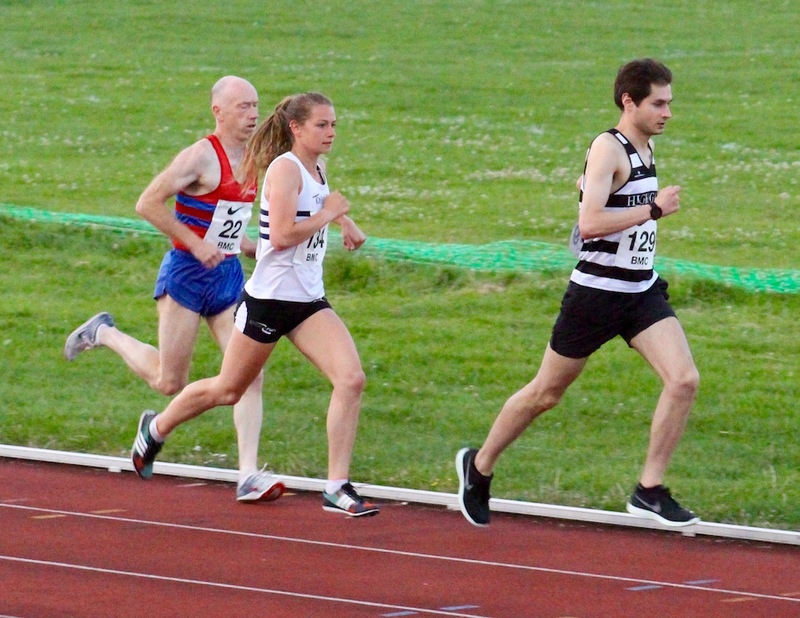 Emma and Ewan Wood emerged victorious in 2.01.15, closely followed by Ben Wrighton/Sean Molloy in 2.02.99 and Ben Brooks/Steve Brooks in 2.03.09. Full track results are on the Results 2016 page. Whilst on holiday in the USA Nicole Taylor won the womens section at a cross country event in New York, in 23.45 for the 4 miles. Videos loaded from day one ! There are a few TAC distance runners in action at Bedford over the weekend. Bede Pitcairn-Knowles had maybe the best race of his career so far to win the bronze medal in the under 17 1500m steeplechase, in a pb of 4.31.48. He was third of 16 runners, who had qualified for the championships. Simon Coppard has made the u17 800m final, qualifying as a fastest loser. He ran 1.56.56 to finish 5th in his heat. A below par Dan Seagrove didn't qualify. I believe there were a number of other TAC runners who either did not have their Bar code or have registered that they are members of TAC. The AG Grand Prix rule is that you have to be registered as a member of TAC (this makes results very easy to scan through) Follow the instructions on your weekly email from Parkrun to add your TAC membership. PLEASE NOTE THE FINAL QUALIFYING RACE WILL NOW BE ON THE 17th SEPTEMBER to avoid clash with B&B relays. See the parkrun page for the latest Grand Prix league table. Tonbridge AC supplied a team of volunteers for the Tonbridge parkrun today, including a few pacers to help some runners towards target times. James Puxty was first home overall. Corey De'Ath was first home today at Dartford and Tom Holden, likewise, at Dulwich. Dom Brown and George Duggan had a good tussle in the British Milers Club mens 1500 metres A race, giving us a 1-2, as they ran 3.48.76 and 3.48.92, respectively. This was a season's best for Dom and both ran well, off what was a relatively slow first half to the race. 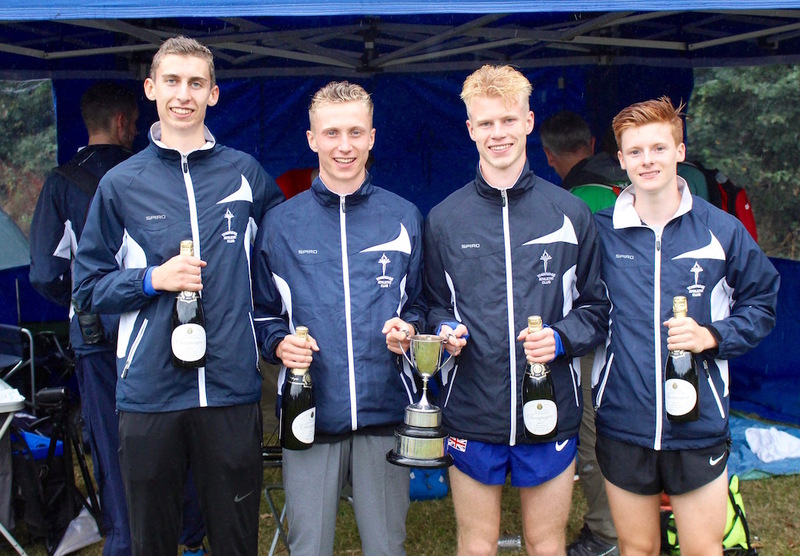 TAC only had a couple of distance runners in the Kent under 20 team on Sunday and neither were at their best. Hannah Czarnowski ran 2.29.47 to finish 7th in the 800 metres and Toby Ralph was 4th, over the same distance, in 1.58.60. 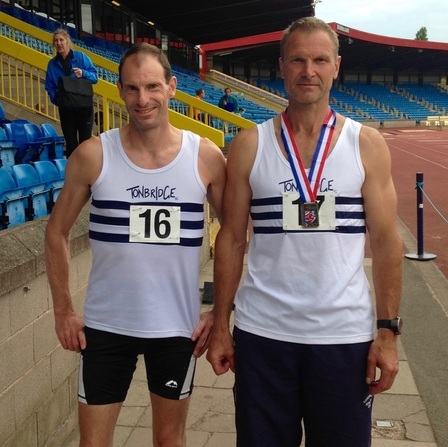 James West probably finished a superb season with second place in the 1500 metres A race in 3.45.62, with Tom Lancashire winning in 3.44.80. James was hoping to go quicker than his 3.40.0 pb but wet and windy conditions didnt help. Unfortunately TAC placed 4th of the four teams and are likely to be relegated from the top division. There were 800m wins for Hannah Czarnowski and George Duggan, whilst Ollie Dunn (800m) and Bede Pitcairn-Knowles (1500m) ran pbs. Another highlight was seeing four of the TAC girls making their steeplechase debuts, alongside Emma Avis, who helped encourage them to try the event (see below). Kieran Reilly made a bit of a comeback from injury on Friday at Ashford and actually ran 16.00 for 5km. Unfortunately, he was misdirected very near the finish and ended up doing an extra loop and officially being second. There were personal best 800 metre times for James West (1.49.34), Michael Ellis (1.58.79), Sam Avis (2.05.19), Ewan Wood (2.13.71) and Lizzie Miller (2.21.45), whilst George Duggan (1.51.94) produced a fine win, just outside of his best time. Ben Cole ran 15.07.43 to finish 8th in the A race. Both Lizzie Miller and Katie Goodge qualified through the heats for Sunday's under 15 girls' 1500 metres final, whilst Bede Pitcairn-Knowles was 4th in the u17 mens 1500m steeplechase. We think Bede ran 4.49, but don't have any official results as yet. In the under 15 girls 1500m final Lizzie Miller had an excellent race to finish 6th, with a new personal best of 4.47.10, whilst Katie Goodge was 11th in 5.00.96. Ben Murphy placed 3rd in an invitation 1500m at Kent AC in around 4.03 on Thursday. Official results are still awaited. Mark Pitcairn-Knowles has updated the current TAC parkrun Grand Prix league table. See the parkrun page for details. The Watford Wednesday Open Meeting once again attracted an excellent level of entries and included 24 races over 800 metres. The races start with the 'slowest', using athletes target times and finish with the 'fastest' and on this occasion TAC had six runners in action, including a second claim member, Finn Harvey. First to go for TAC was Olukorede Fasina (u13), who had won over 800m on Sunday at the Kent League with a 2.21.5 pb. Here he sliced another chunk from his best, running strongly to record 2.19.01, which ranks him second this year on the TAC under 13 rankings. Jamie Brown (u20) is another athlete who has been on a mission of improving his pbs and reduced it again to 2.01.18, having run 2.02.92 at last week's Tonbridge meeting. Jamie was in race 18 and next up was Simon Coppard (u17) in race 22. Its fair to say that Simon likes the Watford track as he produced his fourth win in four 800m races at the open meetings this Summer. This time he ran a superb 1.55.47, taking more than three seconds from his best and moving up two places to top the TAC under 17 rankings and go into the club's top ten overall for the year. In the last race of the night the club had two representatives in George Duggan and Dom Brown and both had good races as they placed second and third, respectively, recording pbs of 1.51.58 and 1.51.75. Tom Holden has been selected for the GB under 20 men's team for the Manchester International, that takes place at Sports City next Wednesday 17th August. This will be Tom's first ever international selection, outside a schools cross country, a few years ago. 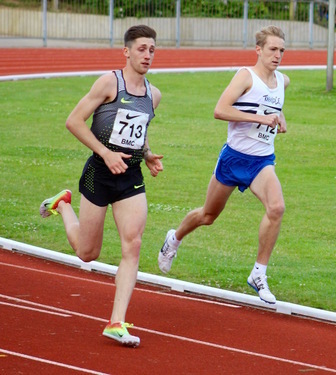 Tom joined TAC at the start of the track season, transferring from South London Harriers and has had a fine season, that has included running 1500m in 3.46.30 and 3000m in 8.11.13. He was second over 1500m at the National under 20 championships. In Tallinn, Estonia, at the moment for World Masters. Got a Bronze in the Sprint yesterday - M40. My preferred vest is always TAC - best racing top. I didn't retain my Gold from last year but was closer to Gold than I was expecting and 2 seconds off Silver. I was pleased with a medal, as I hit my knee in Wales a week and a half before and it isn't fully recovered so I am still not up to firing on all cylinders. Now we have two Long Qualifiers, then a rest day, then the Long (Forest) distance. 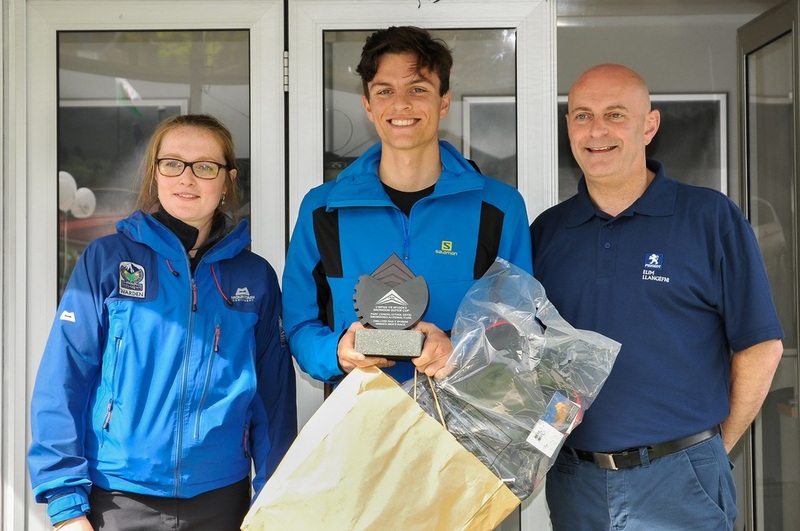 Also - it was good to see Max Nicholls in the Mountain Trophy Team for GB - alongside one of our current best Orienteers Graham Gristwood, who is 32. Full results are on the Results 2016 page. There were A-race 800m wins for Lizzie Miller (u15 2.24.6) and Olukorede Fasina (u13 2.21.5), both with personal bests. Fraser Gordon (u15 2.12.9) ran the biggest pb, whilst their were 800m club debuts for Jamie Witz (2.37.3) and Huxley Crush (2.45.8) in the under 13s. 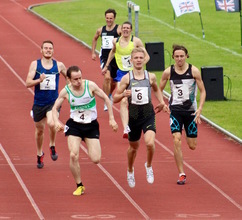 Michael Ellis dipped under 10 minutes for the 3000m steeplechase, on Saturday, when running for the City of Sheffield (where he attends university) in the British League. He ran 9.55.75 to take 7.0s from his pb. Michael has improved from 11.04 in 2014 and 10.33 last year. 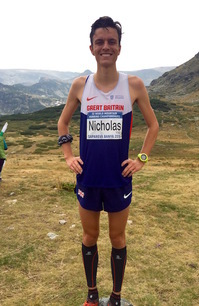 Max has been selected to represent the Great Britain senior mens team at the World Mountain Running Championships, on 11th September in Bulgaria. Its an uphill only championship. This has to have been one of the best open meetings put on at Tonbridge, with the number of entries superb and the competition across all the age groups. For me one of the highlights was in the very first race of the evening when 79 year old Alan Marriot took on Richard Pitcairn-Knowles (80+) over 100 metres ! There were plenty of good middle distance races and the provisional results are now on the Results 2016 page. Gary Goodge has captured the 400m, 800m and 1500m races on videos and we will show them, when editing completed. The top personal bests at 1500m came from Holly Gordon (a 24.9s improvement to 5.26.79), Kiri Marsh improving by 3.7s to 5.06.81, with both Alex Evans (under 13 girl) and Luke Reeves (under 17 men) both taking a couple of seconds from their bests. At 800m the biggest pbs were from Ollie McCarthy (u13) who won and ran 2.37.52 for a 9.0s improvement, with Ben Brooks (u17) (8.4s off to 2.19.07) and Maddy Crabb (8.3s off to 2.52.88). There were race wins for Dom Brown/George Duggan (in a training session, starting with 800m), Ollie Dunn (u20, 800m), Ollie McCarthy (u13, 800m) and Simon Coppard (u17, 1500m). Finally we have an update on the Fantasy League page, showing the latest league table and athlete averages. 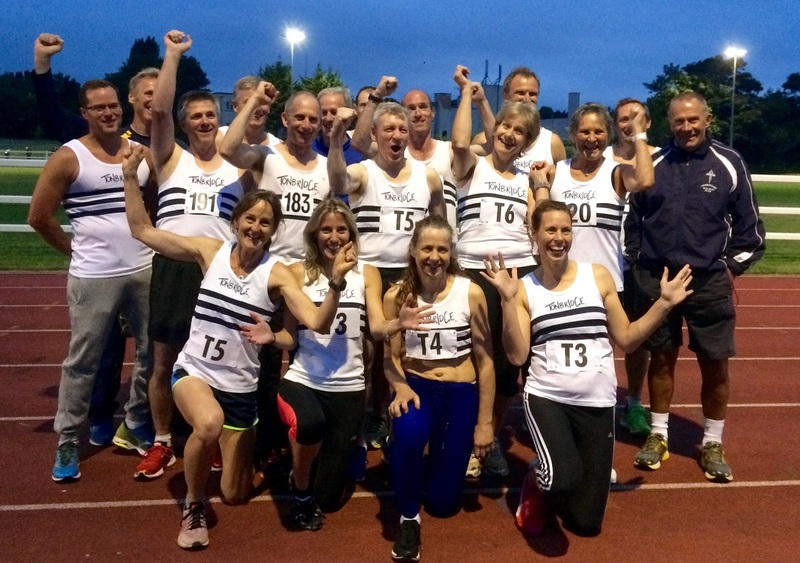 There is just one Southern Athletics League match to be completed now, on 20th August, at Tonbridge. This is when the final results will be calculated. The top 3 are Una Laqeretabua, Richard Christian and Simon Fraser. This week's circuit training will be at Tonbridge School Track, since there is work going on at Judd School, preventing use of the sportshall. 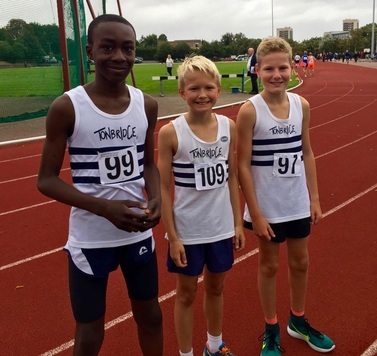 Fin Croll and Ollie Hill represented the Kent under 13 team, at 800 metres and both came away having run significant personal bests. Fin was 6th in the A-string race in 2.16.70 (1.3s pb) and Ollie was 7th in the B race with 2.25.84 (2.0s pb). Fin's time tops the clubs under 13 rankings for the season. In the 1500m Olukorede Fasina was 3rd in the B string, just a tenth of a second outside his pb with 4.45.64. Ian Crawley won the National, over 50s, Decathlon title at the weekend, so why does that qualify for a mention on a distance runners site. Well, as Ian reports a 5.17 pb for the 1500 metres at the finish, helped clinch the title. Full results are awaited. 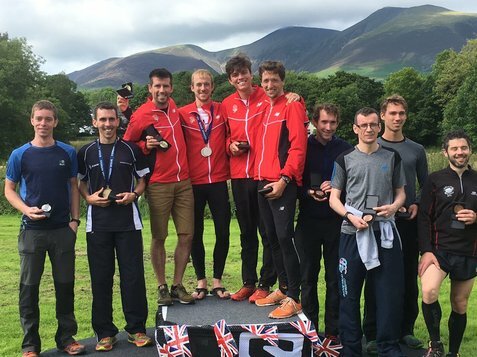 Max Nicholls raced for the England senior team at Keswick in the British Athletics World Mountain Running Championships trial, which incorporated the home international. Max placed 5th and his brother Euan was 14th in the under 20 men's race. ​Max was part of the winning England team. 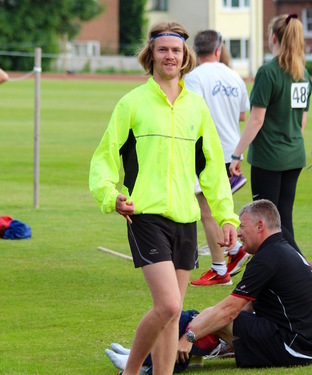 Its fair to say that James West is enjoying a purple patch of performances, as following his sub four minute mile last Friday he followed up with a sub 8 minutes clocking over 3000 metres, at Watford. The race had been set up to attract a good number of athletes capable of running below 8.30 and included the likes of Charlie Hulson (National Cross Country Champion 2015), Andy Baddeley (9th Olympic Games 1500m in 2008 and 3.49 miler). TAC provided the pacemakers in Sean Molloy and Robbie Farnham-Rose, aiming to try and get somebody under the 8 minute mark. Our pacers did a good job getting to the 2k marker and it then came down to Andy Baddeley and James West at the head of the 22-strong field. Baddeley did a superb job to keep the pace going and held James off all the way to the line, as they clocked 7.58.00 and 7.58.47. This was a sixteen second pb for James. Behind them there were a dozen or so personal bests, including Chris Olley in 4th with 8.06.15. James goes second on the TAC all time list, behind Mark Scrutton's 7.50.38, set in 1983 and puts him 10th in the UK for 2016. Later in the evening Nicole Taylor also ran a terrific 3000 metres, taking almost ten seconds from her pb with 9.36.56. This was just three seconds away from Grace Nicholls' club record, but is the fastest time by a TAC female this year. 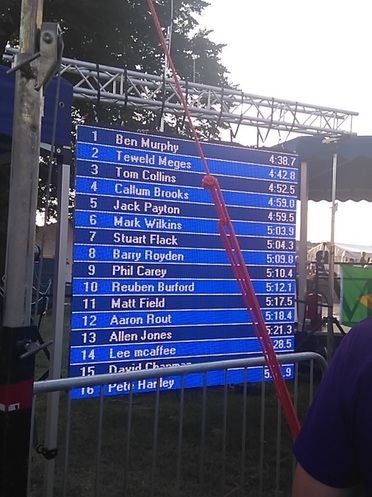 Ben Murphy (u20) was another to make a big breakthrough, with his performance in race 18 of the 1500s. He placed 2nd in 3.58.23, improving his pb from 4.13.69. Ben is a good example to many since all he has really done in the last year is get stronger, by being far more consistent with his steady running than ever before. There were also 1500m pbs for Michael Ellis (4.10.41) and Fin Croll (u13, 4.41.55). Second claim member, Finn Harvey (u15) shaved his pb to 4.21.01, whilst Katie Goodge (u15) ran 4.53.12 and Stuart Brown (u20) 4.18.54. It has been confirmed that all ages will race the Southern Road Relays, on Sunday 25th September. Timetable is awaited. Amongst the results were A string wins for Toby Ralph in the u20 mens 800m and 1500m, plus an exciting 400m win in the under 20s from Becky O'Hara (56.93 pb). Full provisional results are on the Results 2016 page. Joe Watts finished 2nd at Royal Tunbridge Wells today in 18.53, taking almost a minute from his pb ! James West has become only the third club member ever to run under 4 minutes for the mile as he clocked 3.58.69 in Dublin tonight. This puts him between Andy and Allen Graffin in the top three, the former being an Olympian over 1500m at Sydney. About 200 Brits have run inside 4 minutes for the mile and James will be just inside the top 120 and is now ahead of Roger Bannister. After the weekend he is also likely to be inside the UKs top 10 for 2016. Sunday - UK Youth Development League (u17/20) at Eton - no live stream but we will try and capture the action on video ! There were some excellent TAC performances at Eltham, including Nicole Taylor running 5000m in 16.32.1 and only just missing Ashley Gibson's club record. Nicole smashed her pb by 35 seconds and ran a tremendously well judged race clipping off 80s laps, after a slightly quicker start and finishing well. 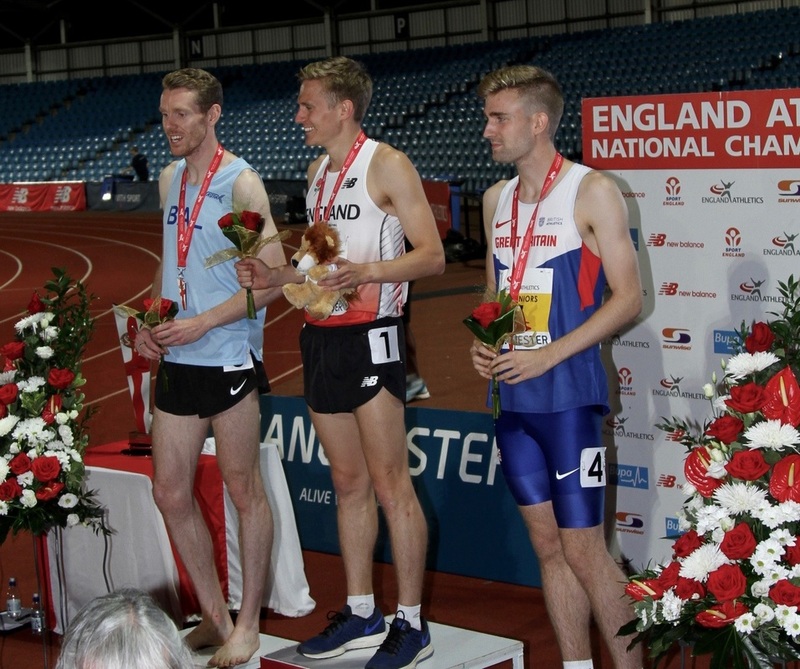 Sean Molloy won the British Milers Club 800m A race in 1.49.89, defeating three good Canadians, who were on a European tour. There were race wins for Nathan Marsh, who took the BMC B 1500m in a new pb of 4.05.03 and for Toby Emm who won 800m race E in a 2.07.76 pb. There were further 800m personal bests for Michael Ellis (2.00.54) and Jamie Brown (2.03.40), whilst Toby Ralph lowered his 1500m pb to 3.57.18. Simon Fraser rolled back the years running his fastest 800m for 10 years with 2.03.56. 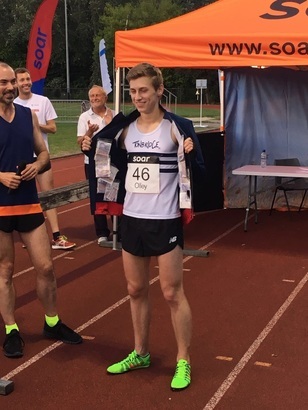 Chris Olley won the SOAR sponsored mile at Battersea in 4.13.54 and won the first prize of £500 for his efforts. We hope to have some video footage available Thursday or Friday. Joe Watts ran a personal best for 5 miles at the Mid Kent 5 miler at Staplehurst in 31.58 (unofficial). Full results awaited. This was a pb by 35s. Sam Avis ran 39.33 for 10k in London, for his debut at the distance. This was at the City Wire 10k and Sam placed 10th in a field of about 250. Videos loaded (Boys 800m and 1500m steeplechase) ! ​Results are on the Results 2016 page. Videos of u15 1500m loaded ! There are some cracking individual results from the distance runners, but I will add more comment at some stage on Sunday. The u15 girls 1500m result has been transposed as Lizzie Miller ran 4,49. Also there is some doubt regarding Ollie Croll's 800m time, suspected of being more like 2.26. There were wins for both the TAC mens and women's teams on the day, which have resulted in them being promoted to Division One of the league. Results are now on the Results 2016 page. For the avoidance of any doubt the above photo goes with the text further up and not that below ! ​You all look very young for your age, but not quite European Youth age group ie under 18 !! Kathleen Faes placed a very brave 5th in the girls 3000 metres, running 9.46.07. Kathleen is one of the youngest competitors at the championships. 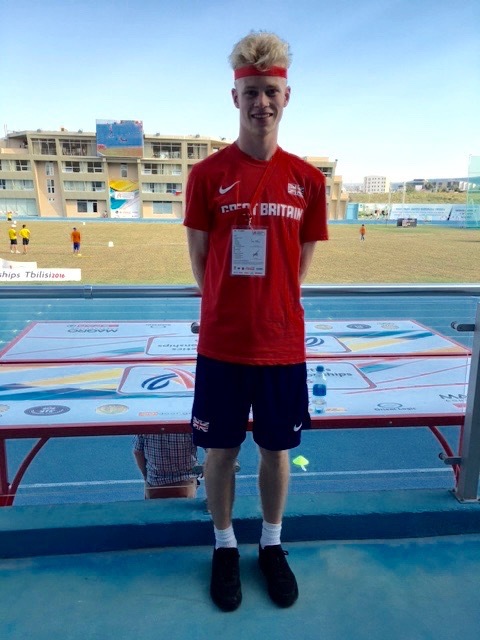 Alasdair Kinloch placed 9th in the boys 3000 metres in 8.35.54. It was another excellent 'Watford Wednesday' with the officials doing a great job to get through 33 middle distance races in less than two and a half hours. The meeting also included some 400s early on and Sean Molloy made a late decision to race, having gone to support. He ran 49.61, before taking up pacemaking duties for the British Milers Club (BMC). 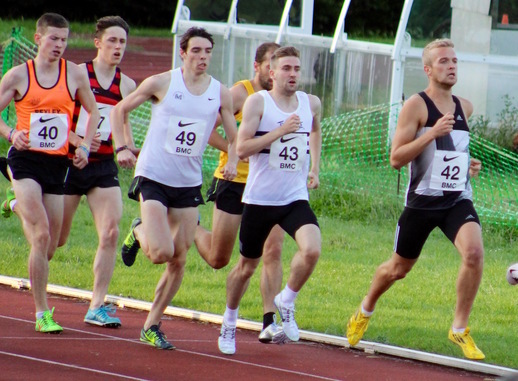 James West produced an excellent win over 800 metres in the BMC mens A race, running 1.50.96, just outside his pb. Then in the BMC mens 1500m A race Chris Olley continued to get quicker, finishing 2nd in 3.44.22, whilst Tom Holden (u20) went sub 3.50 for the first time with a superb 3.46.30 pb in 5th place. The times moved Chris to second and Tom to fourth on the TAC rankings at 1500m this season. Isaac Harding (u17) started off the TAC proceedings in the open 800m races, going in race 16 of 26. Isaac was just outside his pb with 2.09.93. It was then great to see Charlie Crick (u17) back in action at Watford, after a couple of years of growth related injuries. Charlie ran a personal best of 2.05.14 to win his race. Sam Avis (u20) ran 2.06.34 in race 20, another just a fraction away from a pb. In open race 23, TAC had Simon Coppard (u17) and Christian Lee (u17). Both ran well as Simon produced his third win in three Watford appearances this year, to lower his pb to 1.58.82, whilst Christian ran a season's best of 2.00.67, less than a second from his pb. Ben Murphy was the in the final race of the evening and ran 1.55.47 to lower his personal best. Olukorede Fasina (u13) ran a personal best for 1500m of 4.45.50. 'Korede' is currently top of the TAC under 13 boys rankings this year. James West ran 3.51 for 1500m in Belgium on Saturday evening, but was well below his best. 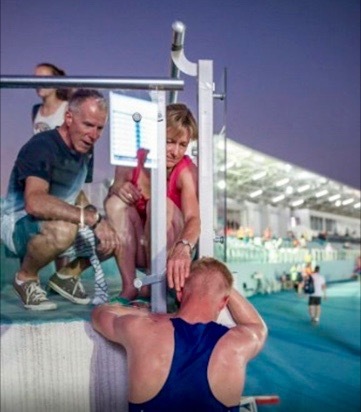 It was a tough night for TAC athletes with neither George Duggan nor Alex Howard finishing their 1500m races. Dom Brown (3.49.56) took third in the 1500m B race and Sean Molloy (1.49.31) 4th in the 800m A race. Phoebe Barker 3rd Inter 3000m, Toby Ralph 4th Senior 1500m, James Puxty 5th Inter 3000m, Sam Crick 7th Inter 1500m steeplechase, Becky O'Hara 8th Senior 400m. ​Both Kathleen Faes and Alasdair Kinloch were selected for Kent but didnt take part as they represent GB at the European Youth Championships next week. The Tonbridge team was severely weakened and finished last of the four teams. JT got a haircut ! Its finally happened ....James 'JT' Taylor got a haircut and raised £350 for charity in the process ! Toby Ralph qualified for the senior boys 800 metres final, without racing a step. The heats were cancelled as there were not enough to justify running them and nine went through to Saturday's final. Becky O'Hara finished 3rd in heat 2 of the Senior Girls 400 metres, although only the top two automatically qualified for the final. Becky took the second of the fastest losers spot to make Saturday's final. 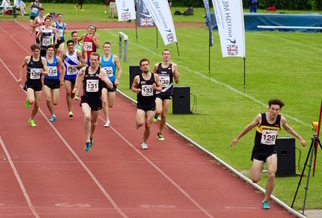 Gary Goodge captured videos of all the 1 mile, 400m and 3000m races. To me the night was notable for seeing some of the clubs young runners make a bit of a breakthrough across a number of events. Ben Brooks was very pleased with his 200m/400m double pbs, Toby Emm has come back well after being out for a few weeks with injury and Fraser Gordon improved his mile pb by almost a minute. Katie Burgess lowered her 400m pb again, Christian Lee took more than 9 seconds from an old 400m pb, whilst Ollie Dunn seems to be one of the most improved runners this year, here taking 27 seconds from his mile best. ​Harry Brown's confidence seems to be growing and he posted a very respectable 3000m time, whilst behind him both James Kingston and Dan Schofield removed more than half a minute from their bests. Latest - Full results are on the Results 2016 page. The only result that I have so far regarding TAC athletes is that Olukorede Fasina placed third in the under 13, 1500 metres in 4.47. James Crawley u14 800 5th 2:16 PB. G Fisher 6th I think. Korede was to be A stream in Team 1 but i had to fill gaps in LJ and 200m and George Thomas stepped up to do those. Unfortunately I didn't get Scott Paige's 1500m time. A convincing win with Toby Emm giving them a great lead on first leg, Ewan Wood, Thomas Draper and George Thomas rounded off the win. The U15 boys were quite a way ahead of the oppo and the last set of results on display showed TAC in 3rd overall by about 5 points, which I would expect to have been closed and 2nd place gained behind B&B as ever.